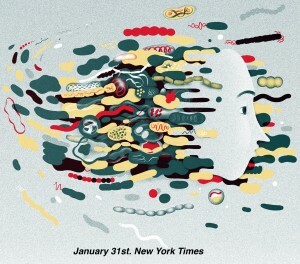 My friend, Russell, shared an article from the New York Times titled “Germs in Your Gut Are Talking to Your Brain. Scientists Want to Know What They’re Saying”. Researchers identified that unhealthy bacteria in the intestines may play a role in behavioral symptoms of Dementia, Parkinson’s, and even Autism. It turns out that the intestines are a majority rule environment meaning that whichever bacteria, yeast, or virus is in the majority will crowd out the others. We have all had the intestinal flu, that is when the virus is in the majority in the intestines. As the healthy probiotics build up they kill off the virus and we are back to our healthy selves. High fiber fruits and vegetables support a healthy intestine for absorption of nutrients and exit transit time. The probiotics work with the fiber (prebiotics) in a synergistic fashion to support a healthy digestive system. When there is not enough fiber coming in the transit time slows down and the waste can cause the growth of pathogenic bacteria and yeast. The researchers were seeing that when pathogenic bacteria elevated there was a direct correlation to brain behavior changes. It is important to have a healthy intake of probiotics, examples are the following: Yogurt, Kiefer, Kimbucha, homemade pickles and sauerkraut. If you are allergic to dairy there are coconut milk yogurts that work. Ideally the bowel should be moving every twelve hours with the aide of a healthy intake of fiber. The transit time mixed with a daily intake of healthy probiotics creates a symbiotic / synergistic healthy environment that protects the intestines. This prevents intestinal illnesses and ensures that you are absorbing your nutrients adequately. And it helps prevent early onset brain dysfunction. Click on the link it is a very well written article.